We get a lot of phone calls regarding baby wildlife, particularly in the spring time when most wildlife will soon be having their babies. 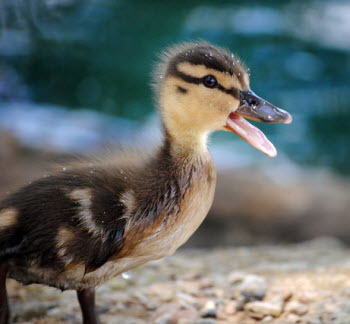 If you come across a baby animal, normally the best thing to do is actually to leave it alone. Only a small percentage of baby wildlife that are removed from the place where they were found and cared for by people actually survive. Often it may appear as though an animal has been abandoned, but most of the time that is not the case. With baby bunnies, for example, the mom may only come around twice a day, but will definitely not come around if the nest is disturbed or if humans are present. If you see a baby or animal that is injured, cold, covered in parasites (fleas, flies, maggots, ticks) or is not moving than intervention may help, but the best chance for survival is with the care of an experienced wildlife rehabilitator. If the injured animal is at risk of being attacked by a predator, wear gloves and move it to a quiet, safe place away from people and pets. Call a wildlife rehabilitator for guidance as soon as possible. The Resource Lists found in our Wildlife Reference can help put you in touch with the right contact. If you cannot reach a rehabilitator, you may also contact AEC at 248-348-1788 and we can advise or direct you. We are willing to take in injured wildlife with the exception of raccoons, skunks, deer or bats. Some animals are protected wildlife (e.g. migratory birds and raptors) and while we are not permitted by the State of Michigan to give medical treatment, we are able to take them in and transport to a wildlife rehabilitation center. 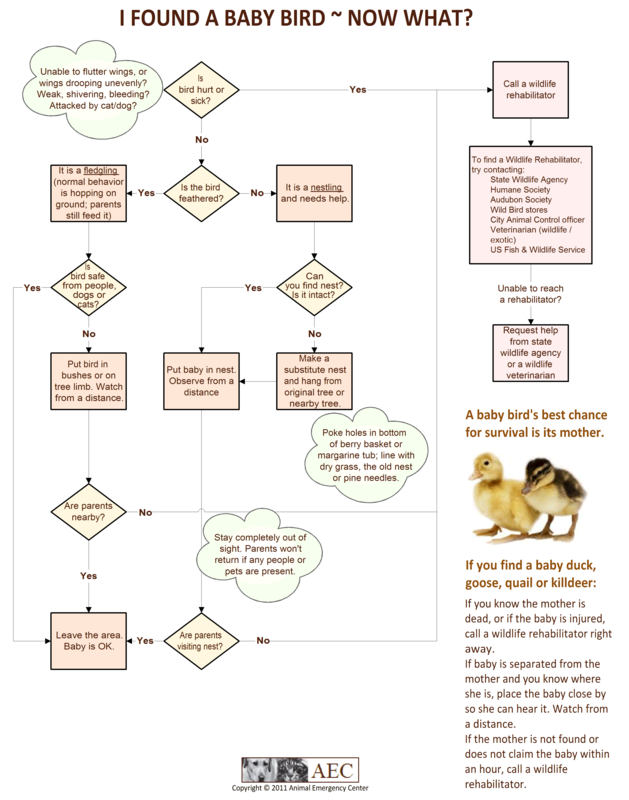 Here is a printable .pdf of the flow chart below that may help you in the event you have found a baby bird: I found a baby bird - Now what?